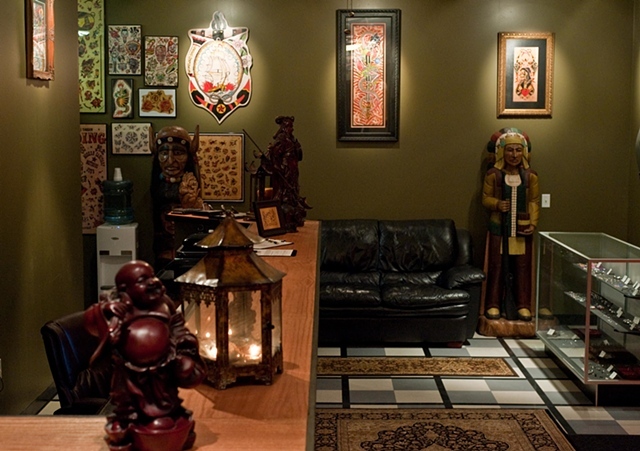 ALLIANCE TATTOO CO. strives to provide tattoo enthusiasts with top quality tattoo work that will stand the test of time. Located in Newark,Delaware and only 2 miles from the University of Delaware. We offer a variety of tattoo styles such as traditional japanese, realistic black and grey,traditional americana, lettering font styles, folk art and neo-tribal, just to name a few. If you have general questions, please feel free to call the studio.